For businesses, marketing used to look very different. You created products and services, marketed, and didn’t have as much global competition. Now with the internet, your online presence has become one of the most important tools in your marketing arsenal. With the abundance of noise, you have to figure out how to stand out from the crowd and draw people to spend time with your company. One way to do that is to get them to peruse your website for more than a single page by utilizing effective website copywriting services. A bounce rate is “the percentage of visitors who come to your website and leave without viewing other pages.” In essence, your style, website content, or something didn’t engage and encourage them to consider your product or service or learn more about you. Why is this important? Because it means you’re losing out on potential business. In some cases, a lot of business. Your website copywriting can be a huge part of the problem. If your bounce rate is bad (or high), then it’s time to audit your website and make some changes. One place to focus heavily is utilizing website copywriting services. Content comes in all different forms. You have blog posts, social media posts, whitepapers, eBooks, landing pages, and website copy. While all of it is important, website copywriting services are a huge part of website success. It’s content that needs to be more evergreen—but more importantly, it needs to be clear, concise, and engaging. 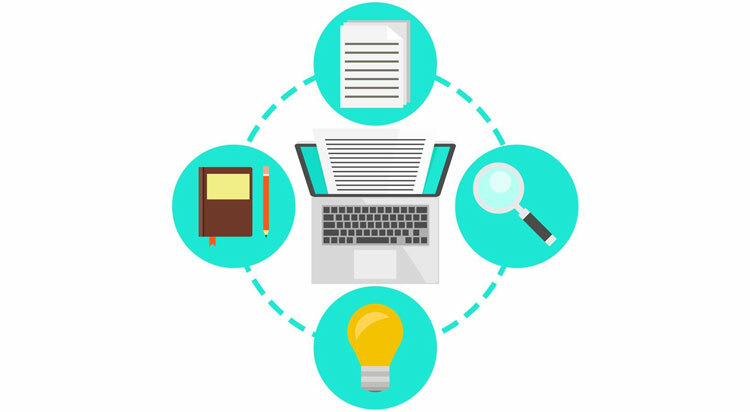 Go ahead and provide a website copywriting services' writer your vision, mission, and other helpful information, but realize that the way you write about your business probably speaks to people who understand it better or work for your company. The goal of website copywriting is to answer questions potential customers have about your business, and to do it in a way they understand. Think of it as the difference between knowing your letters and being able to write full sentences. As a business owner, you write full sentences, but many consumers that visit your site are starting with the ABCs. You may know too much, which hinders explaining in a thoughtful and understandable way. You may be trained and well-versed in the art of running a business, but website copywriting services know about websites and copy. They have trained and built skills of their own. They understand concepts that you may not. For example, you may write an 800-word blurb you think really explains who you are and what you do, but chances are it won’t speak to the consumer. An excellent website copywriting service will add subheadings, reduce the number of words, and get your information across in an engaging and digestible way. He or she will have the ability to take a concept or vision and get the point across in a way your target audiences will understand. So, are you still writing your website copy yourself? Maybe it is time you considered getting website copywriting services. It’s essential to have SEO optimization, a voice and style, and present things conversationally. You’ll also get the all-important call to action, which is essential in reducing your bounce rate. Good calls to action invite people to stay on your site and look around. Your bounce rates and website copy are intertwined. Chances are, if your website is dated, non-formatted, or unprofessional, then you are going to have a high bounce rate. If your website copywriting hasn’t been well-thought-out and planned, you’ll have an even higher bounce rate. In addition to improving your website copy, you can also research what other things you can do to reduce bounce rates, and then tie it all together. Websites are crucial. They are an enormous part of a business’s presence, and a way for a business to set itself apart. One way to turn traffic into sales instead of a high bounce rate is to focus on website copywriting in a strategic and professional way. To learn more, check out our white paper, "What is Content Marketing? And Why It's So Important!"